Nicole Eisenman was born in Verdun, France, in 1965 and lives and works in New York. 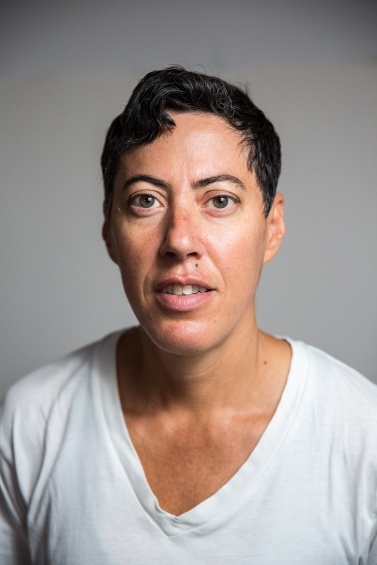 In 2014 the Contemporary Art Museum St. Louis mounted a major exhibition of her work, “Dear Nemesis, Nicole Eisenman 1993–2013,” which traveled to the Institute of Contemporary Art, Philadelphia, in late 2014 and to the Museum of Contemporary Art San Diego in 2015. Additional solo presentations of her work have taken place at the Jewish Museum, New York (2015); the Berkeley Art Museum and Pacific Film Archive, CA (2013); Studio Voltaire, London (2012); the Katzen Arts Center, American University, Washington, DC (2011); the Frances Young Tang Teaching Museum and Art Gallery, Skidmore College, Saratoga Springs, NY (2009); and Kunsthalle Zürich (2007). Her work was included in Manifesta 10, St. Petersburg (2014); the 2013 Carnegie International, Pittsburgh; the Whitney Biennial, New York (2012 and 1995); and Prospect.2 New Orleans (2011). Eisenman’s work has been featured in numerous recent group exhibitions at institutions including the Whitney Museum of American Art, New York (2015); the Museum of Modern Art, New York (2014); the Reva and David Logan Center for the Arts, University of Chicago (2014); the Contemporary Arts Museum Houston (2014); the New Museum, New York (2013); and the San Francisco Museum of Modern Art (2011). Eisenman is a 2015 MacArthur Fellow. Full support for “Nicole Eisenman: Al-ugh-ories” can be viewed here. Education and community programs for the spring shows are supported, in part, by American Chai Trust.